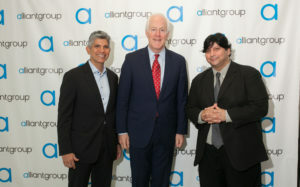 My name is Dhaval Jadav and I am the CEO of alliantgroup, a national tax consultancy based out of Houston, Texas. alliantgroup’s mission is to make sure every business pays exactly what they owe in tax, regardless of size. We believe that every company should be able to take advantage of federal and state-sponsored tax incentives, but unfortunately larger corporations claim these incentives at a much higher rate than small and mid-sized businesses. At alliantgroup, we do our part to help small and mid-sized businesses in the United States stay competitive and innovative by helping them claim valuable tax credits, incentives and deductions. I’m proud to lead an amazingly talented team that is equally passionate about helping American businesses and the economy at large, and am continually astonished by the dedication and excitement my team brings to the business. 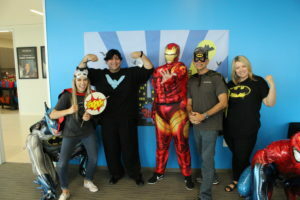 alliantgroup would not be the company it is today without our leadership and workforce. To date, we have helped over 14,000 companies receive over $7 billion in incentives. I have seen first-hand the businesses that have grown and continued to thrive due to these significant tax savings..
As a leader, I constantly strive to provide each of the companies we work with and their CPA firms with unrivaled services. I am on a personal crusade to make sure that every business, regardless of size, gets a fair share of the tax incentives and credits that federal and state governments have allocated. Looking back at the jobs I held before founding alliantgroup, I realize that my passion has always been to help businesses succeed. After graduating from Georgetown Law with my L.L.M degree, I became a licensed attorney in Texas. I began my career working at one of the Big Four accounting firms, working at Deloitte and Touche in their Washington national office. 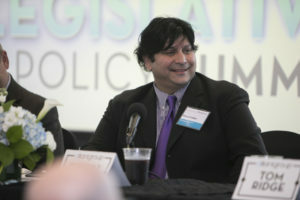 I also spent time working for the Internal Revenue Service in their Houston district counsel office, and as a consultant on mergers and acquisitions and private equity for various technology companies in San Francisco. In the earlier years of my career, I learned about the many phenomenal tax incentives set up by our government to incentivise certain behaviors for U.S. businesses, including those for exporting, manufacturing and research and development. I noticed that Fortune 1,000 companies served by the Big Four were regularly given advice on which incentives to take advantage of to help grow their businesses, but the sub-Fortune 1,000, the small to mid-size businesses, were not receiving the same education and awareness. My co-founder, Shane T. Frank, and I founded alliantgroup to help educate these types of businesses, and make them aware of the types of incentives that were available to them. 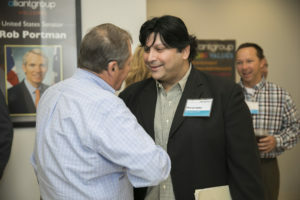 The firm is dedicated to supporting companies in a variety of industries and has partnered with a number of associations to spread education and awareness surrounding applicable credits and incentives – SIIA’s Tech Chats, a webinar offered by The Software & Information Industry Association, is just one example. In addition to his role at alliantgroup, Jadav supports DSquared Tax Strategies, ZMFF&J and alliantNational, a division of alliantgroup that provides subject matter expertise on complex and emerging federal, state and international tax issues. I am fully committed to helping as many American businesses as I can be the best they can be. There should never be obstacles to innovation! For more information about my deduction, read my latest article in Forbes. 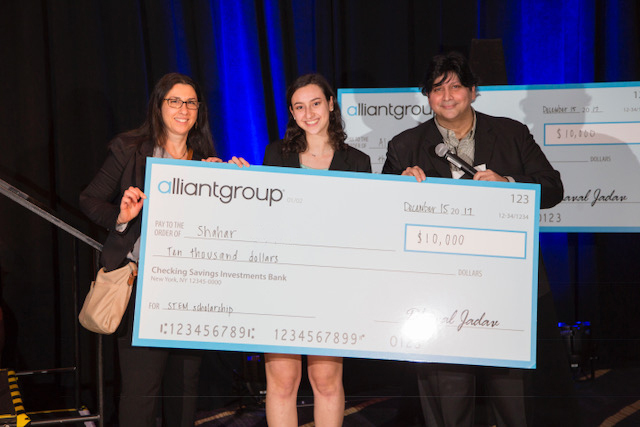 My position at alliantgroup has allowed me to become involved and give back to the Houston community. I was born in Manhattan and grew up in California. My father worked as an electrical engineer and encouraged my scientific curiosity. As I grew older, scientific innovations and space exploration became passions of mine. 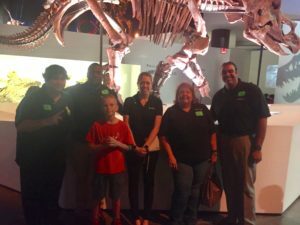 For this reason, alliantgroup’s STEM (science, technology, engineering and mathematics) scholarship program is something I am particularly proud to be a part of. 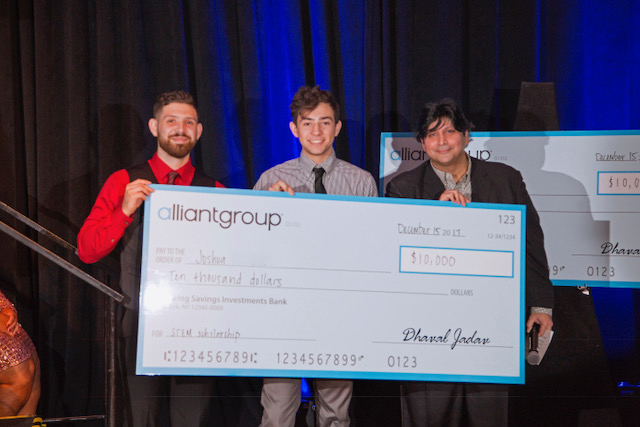 Each year, alliantgroup awards scholarships to high school students in the Houston area who are looking to pursue a career in a STEM-related field. Technology and innovation are significant driving factors of growth for American businesses and our economy. I’m thrilled to be able to support this growth by giving back to the local community in addition to our work at alliantgroup. For more information, follow me on LinkedIn, Facebook and Twitter.